As a family, we really look forward to and embrace celebrations. From holidays to birthdays to losing teeth, the kids sincerely enjoy making all kinds of occasions feel special. It isn’t as though we are lacking for excitement in our everyday lives as a family with five children and many pets, but it is truly so much fun when we have a reason to celebrate. Halloween is one of our most favorite holidays as it’s such a fun time for the kids. A tradition was born many years ago within my husband’s extended family that included a party with a spooky graveyard theme, and it’s one that the kids have shown interest in carrying on, so this year we decided to start our own. Planning costumes is half of the fun of Halloween as a whole, and we start planning ours months in advance. 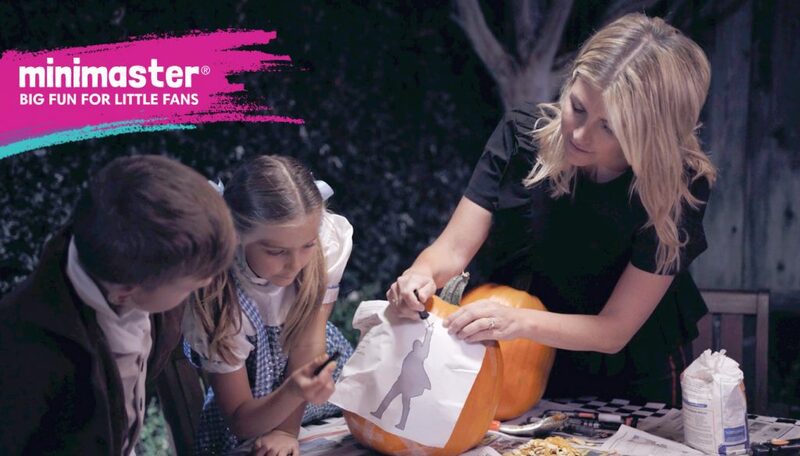 The big kid’s costumes are almost always heavily influenced by events, shows and movies that they’ve seen over the year, and the same is true for the theme of our party and decorations. This year, Hamilton on Broadway infiltrated many aspects of our lives so I wasn’t surprised when Jack decided to dress up as Alexander Hamilton. We even created Hamilton Jack-O-Lanterns which became an amazing decoration around the house. After going to their first live concert – John Mayer and his band – Jack and Zoe have been talking nonstop about starting their own band and what instruments they want to start playing. Naturally, the theme of our Halloween decorations also geared towards rock n’ roll: Amongst the graveyard, a band of rocker ghosts will be center stage to entertain everyone. Our guests at these parties are all ages, from little ones to tweens, all kinds of children will be celebrating with us, but no matter how old they are I am always conscientious of what kinds of food and beverages will be served. Along with a smattering of sweets, I’ll make sure to put out trays of healthier food options. Get creative and turn these healthy food options into perfect decorations as well. 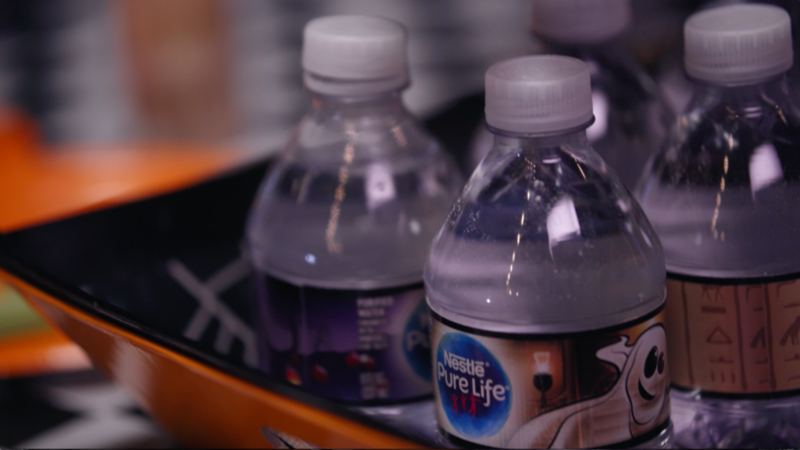 Given that this is a holiday almost purely about candy, I’m excited to offer water instead of sugary drinks-the Nestle Pure Life mini bottles have the most adorable Halloween theme that will make even the healthiest drink festive, and they can take them home in their treat bags afterwards. This time of year is so much fun for us, and it’s so neat to watch how the kids draw on the live shows that they’ve experienced throughout the year play such a large role in their imagination process. Minimaster has had a truly positive impact on how we incorporate music, theater and even sports into our children’s lives and even our own. Jessica Shyba is a wife and matriarch of a vibrant home in the Bay Area with five children, two rescue dogs and two rescue cats. She is a children’s book author, blogger and photographer, and was recently named to the Forbes 2017 top parenting influencers. For more from Jessica, visit Momma’s Gone City and don’t forget to follow her on social!